Sushi in general is considered safe in pregnancy. The only exception are mercury levels in certain seafoods. 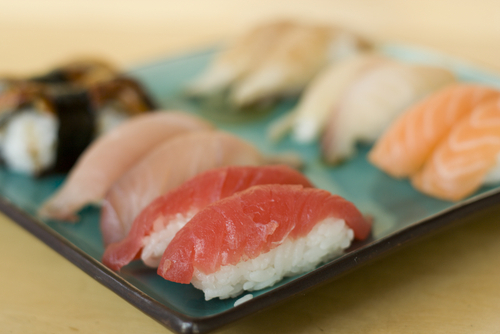 Most of the fish in Sushi is safe can can be eaten during pregnancy without health concerns. However, a few of the fish used in sushi may contain too high levels of mercury which could affect the developing fetus, and these kind of fish should be avoided, but there are others that can be safely eaten.